Some men spend years using a safety razor because they don’t know how to choose a rotary shaver. If you’re one of those men, I’m going to give you my recommendation for the best rotary shaver for a smooth, touchable face. It’s likely that you’ve been using a razor due to the fact that you think an electric shaver can’t do the same job as well. That’s definitely not true at all. These are the top rotary shavers for long or short facial hair. You don’t have to worry about any stray hairs left behind when using one of these rotary shavers. You’ll get a clean, smooth, and kissable face with little effort. 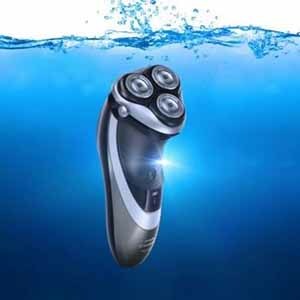 Why should you go for a rotary electric shaver? 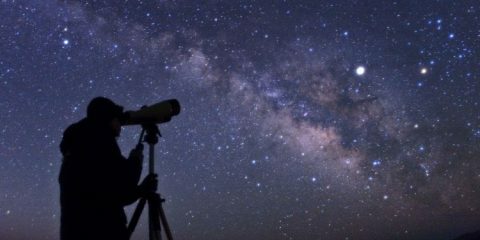 Just by the name, you can speculate that some sort of rotation is involved. Yes, it comprises three rotating cutters inside three round shaped heads that cut hairs seized by the external immobile guard. These shaver heads usually bend inward to get nearer to the skin, and pivoting system allows it to glide effortlessly over natural body contours. The whiskers fall into the angular channels as you move the shaver in spherical gesture and the small scissor like blades slashes the hair. Norelco’s 9700 is one of the latest and best from Philips. It’s sleek look won an iF Design Award in 2015. That sleek design includes a user interface that’s state of the art. It’s digital display uses a built-in motion sensor. It displays battery percentage, indicates a low battery, and shows a replacement head indicator. This shaver has 8-D contour technology. Each shaver head will move independently from the next. This 8-D ContourDetect tech will result in a closer shave because the shaver never leaves your face. You’ll catch more hair with one pass than you would with another shaver. V-Track Precision Blades capture each hair and lift before cutting. It doesn’t matter if the hair is one day or 3 days old. The blades cut really close. Along with precision blades, the shaver has personal comfort settings. Choose Sensitive for a gentle shave. Normal will give you a great shave while Fast will give you a quick shave. The SmartClean PLUS system will clean, lubricate, dry, and charge your shaver. It’ll clean hair as well as foam and gel from the shaver to keep it clean and like-new for a very long time. When blades are lubricated, they keep their cutting edge for longer. As far as battery time, the digital display will tell you how much time has passed. 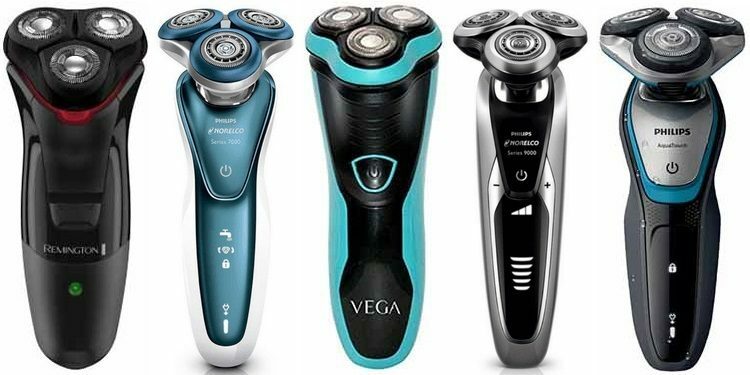 You’ll get 60 minutes of shaving with the Lithium-ion battery. It will take an hour to charge for those 60 minutes. You can also give it a quick 5 minute charge in case you need one full shave very quickly. 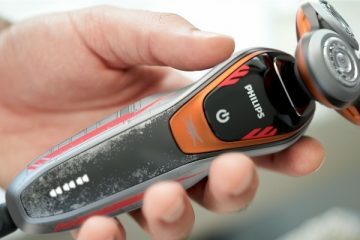 All the latest technology is available for shaving with this 9700 from Philips. It has a powerful battery that has the fastest, long-lasting charge versus other shavers. It’ll give you a quick shave in case you forget to check the digital display and see that you don’t have enough time for one more shave. The AquaTec Technology allows you to take this into the shower, use it with shave gel, or use it dry. It’s convenient for the guy who wants versatility in his shaving equipment. There are times when you’re running out the door and need a quick, dry shave. Other days, you might want to take your time to look your best. With Precision blades and 8-Directional ContourDetect, you’ll catch more hairs in the blades for cutting than other shavers. When you are able to shave thoroughly in one pass, you’re less likely to end up with razor burn or irritation. The speed settings ensure that you’re getting the shave that works best for your skin, too. If you have sensitive skin, use that setting to keep irritation and burns away. AquaTec wet/dry technology for any kind of shave you need. Includes a SmartClean PLUS system for cleaning and charging. 8-D ContourDetect for keeping in close contact with the skin. Personal comfort settings from sensitive to fast. Digital interface for displaying low battery and travel lock. It doesn't include a trimmer for edging and finishing. This is a fantastic shaver with the latest technology from a company that spends a lot of time researching and expanding their shaver line. There are features like the ContourDetect and Personal comfort settings that make it a great purchase. The DualPrecision heads will give you an incredibly close shave. The slots in the shaver will cut normal hair as well as short stubble. There's a Lift and Cut system that will lift the hair before cutting to get as close to the skin as possible. It does it without irritating the skin. The 6100 works well in the shower because of the AquaTec seal. Take it into the shower or use shave gel at the sink for a close shave. The ergonomic handle with non-slip grip makes it easy to handle when wet, too. With GyroFlex 2D technology, the 6100 will pivot and move with your face. As you move from cheeks to chin to jaw line, the heads will move with the curves. It'll do so without any added pressure from you. One hour of charging will provide 40 minutes of cordless operation. There's a display that will alert you to when the battery is full as well as when it's time to charge. If you miss the alert for when it's time to charge, you can use the 3-minute quick charge. It will give you enough charge for a single shave. The 6100 has many great features. My favorite feature is the DualPrecision heads. The Lift and Cut system will ensure that you're getting a close shave every time. It doesn't matter the length of hair. The slots and holes will bring in all lengths to lift and cut them beautifully. The rotating blades will give you a total of 56,000 cuts per minute. The soft touch technology will ensure that the blades glide across your face without the need for pressure. You won't have to pass over the same area multiple times, which will keep your face from becoming irritated. The battery docking station will keep your new shaver charged and ready for use. You only need an hour to charge the shaver up to full. 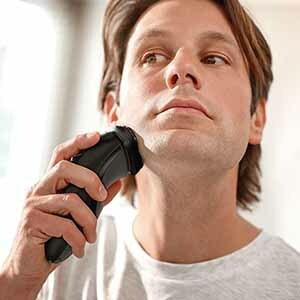 Even if you don't have an hour, you can give the shaver less than a five-minute charge to get a close shave. The wet/dry technology gives you options for shaving. The Lift and Cut system delivers a close shave. Multiple direction with the Gyroflex means no spots are missed. Comes with a precision trimmer. LED battery alert on the handle. Trimmer isn't attached to the handle. This is a reasonably priced shaver with some really great features. It'll provide a close shave no matter the length of your whiskers. The shaver's soft touch means it'll glide across your skin without added pressure. 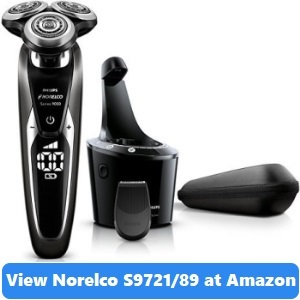 Philips Norelco 8900 is the big brother of the last two shavers we discussed above. 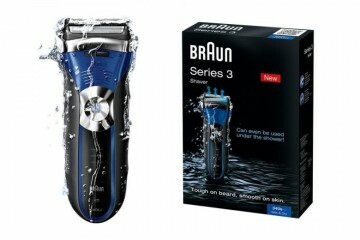 It is packed with state of the art technologies and highly advanced shaving features. The premium V-track precision blades comes with self-sharpen scheme which seizes hair in optimum cutting position leaves you with a comfortable shave that is 30 percent closer to the skin. Its advanced and exclusive contour detect technology enables it to pivot in 8 directions while cuts 20 percent extra hair just with a single pass over your skin. In built trimmer can trim hair up to five lengths. Especially designed comb and smooth edges saves you from possible skin irritation. Comes with a convenient smart clean and charging station and a vibrant LED display. Also, the travel lock ensures safety from accidental power on. 8-direction pivoting system with special contour detect technology. Smart clean and charging dock. The size of the Smart clean and charging dock is quite large. 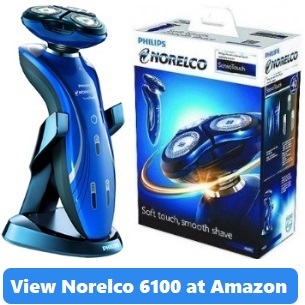 Norelco 8900 is truly an all-in-one shaver. It charges super-fast and charge will last for weeks. The hygiene and lubricating system of the smart clean dock is indeed very efficient. This shaver-trimmer duo with its fabulous attachments will replace several items from your medicine cabinet. It’s a great deal for true satisfaction. Philips Norelco is the name of the unbeaten troop of rotary shaver kingdom. 3100 is yet another worthy warrior in their lineup. Cut those thick coarse whiskers slickly without any bloodshed from your skin using Norelco’s Comfort-cut blades. The smooth-edged round shaped shaver head can hinge over difficult contours easily with the help of 4-direction flexing technique. It’s very easy to shape your sideburns, mustache or a goatee with integrated pop-up trimmer. Get a close and relaxed dry shave anytime when you’re in a hurry, or use your beloved shaving gel or foam with 3100 whenever you wish. You don’t have to worry much with cleaning. Just open the covers from the head and simply wash under water. Dynamic lithium-ion battery holds charge for a long period of time and ensures hefty power supply to the motor. Smooth-edged shaver head with 4-direction flexing technique. Wet or Dry shaving options. Innards can gunk up if you do not clean individual pieces every few days. Philips Norelco 3100 is one of the finest rotary shavers you’ll find in the market today. It’s very smooth and cleans close as almost like a razor blade. With Norelco, it is highly unlikely to run out of power frequently. The battery indicator keeps you updated so that you know when to charge. It looks nice and feels pretty sturdy and comfortable in hands. 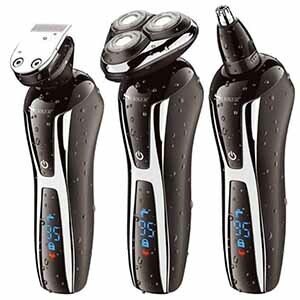 4500 is another state of the art rotary shaver from Philips Norelco listing, which is specially built to protect your skin. Its inbuilt skin protection system lessens skin irritation while the flex and float system integrated with the shaver head saves you from unwanted nicks, cuts, and burns. Its smart pivoting system rapidly and efficiently catches both long and short stubborn hair even from the hard to reach areas and difficult contours. 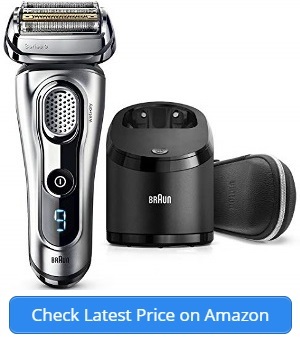 This Dual Precision shaver comes with both wet and dry shaving option and also includes a pop-up trimmer to precisely shape your sideburns, goatee, or mustache. The best part is its 45 days of risk free trial with 2 years of warranty. The powerful lithium-ion battery ensures 50-minutes of shaving with just 1-hour of charging, even a quick 3-minute charging can handle a full cordless shave. You can clean this shaver just by rinsing under tap water. Highly effective skin protection system. Flex and Float pivoting technique. Shaver head needs to be replaced every 12 months for best result. The Norelco 4500 is quite efficient for close-comfortable shave as well as saving your skin even if you suffer from a sensitive one. It’s really quiet during shaves. However, it lacks some very useful features such as plugged-in shaving and real-time battery status. Also remember to replace shaver head every year for best expediency. Hatteker is one of the unsung heroes of the rotary shaver empire. 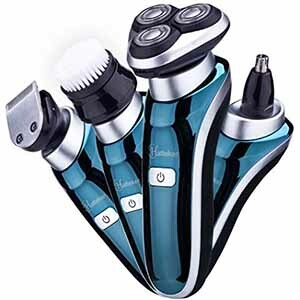 However, it’s a well-built and high-quality shaver-trimmer-clipper trio. It features a 4-direction pivoting head which automatically adapts the natural contours and glides smoothly over your skin resulting a close-comfortable shave. You can keep hair at different lengths and shape your sideburns and mustache precisely using the inbuilt trimmer. You also can eradicate nose and ear hair using the nose trimmer. Comes with a facial cleaning brush which is quite handy for cleaning deep pores from your face. The perfect size of this shaver is very travel friendly. Hatteker offers a surprising 1-year guarantee and will replace or refund if you get caught up with any sort of issues with this shaver. 1-hour fast charge, USB charging. Beard trimmer, Nose trimmer, Facial cleaning brush. Dry shave is quite rough for sensitive skin. This shaver is reasonably cheap, yet comes with so many useful features. However, I wouldn’t dare to compare Hatteker with Philips. Hatteker performs really good at its price-point. I would say its worth of giving a try. Surker is another nicely built shaver and well deserved to be in the Top 7 Rotary Shaver list. This multitasking electric razor is very competent even though it comes at such lower price. This shaver easily follows the natural curves and can hinge through hard to reach areas. Its upgraded double blade technique cuts thick hair easily with fewer passes. This wet and dry shaver also comes with hair trimmer, and nose trimmer which you can use to clean hair from your nose as well as from your ears. Its fully waterproof. You can easily wash this under running water after every shave. Dry shave is quite harsh on skin. Surker is a great product with great price. It holds charge for couple of weeks, really handy while travelling. Gives quite smooth and close wet shave. Just don’t expect it to perform like reliable brands like Philips and you’ll be happy. I have already pointed out that rotary shavers have very few models from renowned brands. So, if you’re going for rotary then you don’t have many choices. If you decide to buy a lesser known brand, make sure that they offer a money back guarantee. Other than that, I would suggest you to put your faith on Philips Norelco lineup. Now this is a very important matter you need to think before you buy a rotary shaver. It is well accepted that rotary shavers are not as skin friendly as its foil competitors. If you suffer from a very sensitive skin condition then I would suggest you to go for foil shavers. However, Philips Norelco will work well even with sensitive skin, if your skin is not the worst-case scenario. A smart pivoting system is highly necessary for a rotary shaver to perform well around difficult contours. 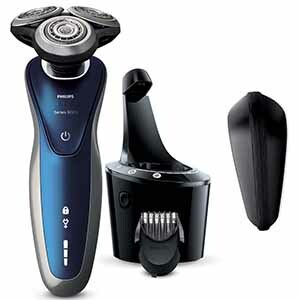 Most rotary shavers these days come with multiple direction rotating system. The more the circling direction, the more it will adapt to your natural curves. Thus, make sure yours one come with an intelligent pivoting arrangement. Trimmer comes in very handy for a complete grooming experience. If you want the convenience of resizing your sideburns or mustache, make sure that your shaver comes with a nice trimmer. Also check out other accessories to see if you are missing something you need. Even though most of the rotary shavers offer wet and dry shave, some doesn’t work well without shaving foam or gel. You’ll find dry shaving a bit rough with some rotary shavers. If possible, try to trial before you buy, see if you can handle the dry shave. Rotary shavers are not as easy to clean manually as its foil counterparts. Even if a rotary shaver offers cleaning under running water, innards can gunk up if you do not clean individual parts every few days. A cleaning dock can save you from this hassle. Also keep an eye on the charging process, indicator, and charge holding time so that you don’t run out of battery in the middle of shaving. It’s no secret that most electric shavers struggle with thick hairs that lies flat over the skin and grows in diverse directions. The foil counterparts work against the course of the growth; hence they struggle more. However, the circular pivoting technique used with rotary shavers works much better as hairs grown in different directions can easily enter the holes and let the blades get closer to the skin. Precise and close shaving requires certain mastery. You need to be patient and use small measured strokes always against the growth. While this is absolutely a must for foil counterparts, it is not really necessary for rotary shavers. You won’t have to change directions while passing over the curves multiple times. Working in a circular motion with your shaver gives you that tad bit of effortlessness and saves time. Due to their internal built structure and operation, rotary shavers are more efficient against longer hair. Rotary shaver heads can cover a large portion of your skin at a time. Therefore, it’s really easy for men whom needs to shave their heads. Also, if you shave every few days and your hair get longer then rotary shavers will work better for you. This is the most confirmed statement regarding rotary shavers. Rotary shavers make almost no noise when turned on. On the contrary, foil shavers are quite buzzy during operation as their motors makes the blades vibrate at a very high speed. If you are concerned about waking up others, or if you simply can’t stand noise then rotary shavers can be a great convenience. Unlike foil shavers, the only renowned brand for rotary shaver in the market is Philips. Of course, you’ll find quality rotary shavers from other brands, however there are not many of them and sometimes their reliability is questionable. Rotary shavers are made to operate in a circular motion. If you work up and down, or left to right, you’ll most likely get a nasty pinch on your skin. So, you always need to make sure that you use circular motion. 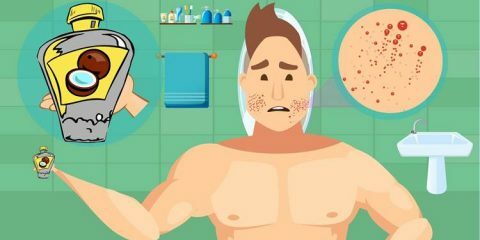 Due to the risk of getting pinches or squeezes, it’s better not to use a rotary shaver if you have a very sensitive skin. Are rotary shavers better for shaving the neck area? Answer: Rotary shavers are generally efficient at adapting difficult contours. Neck area is one of them. In most cases, neck areas tend to grow stubborn, flat lying hairs. Rotary shavers are also most effective against them. Is it better to use rotary shavers if I don’t shave daily? Answer: The answer would be ‘yes’ considering that rotary shavers works excellent against longer hair. What if I don’t use circular motion? Answer: Rotary shavers are built to operate in a circular motion. And if you don’t follow the rules, it will remind you by pinching your skin. Now, who wants that! So, be careful. The key of buying the most suitable electric razor is going with your preference. Don’t think that most priced and featured shavers will be the best for you. The 7 above mentioned rotary shavers are most appreciated by their users. They are the best options available to check your luck. But before you buy, carefully follow the guidelines and check customer reviews as well. Finally, thank you for reading-through this review. Philips Norelco Star Wars Shaver Review: Is This Shaver Good Choice For You?